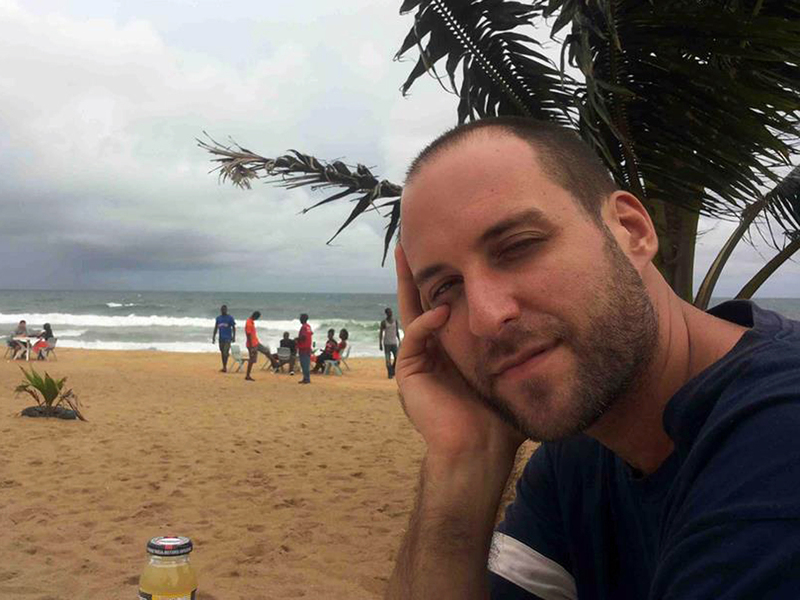 NEW YORK -- The parents of an American freelance cameraman diagnosed with Ebola said Friday that their son was in good spirits. "Obviously he is scared and worried," Dr. Mitchel Levy said of his son, Ashoka Mukpo, who was hired Tuesday to be the second cameraman in Liberia for NBC's chief medical editor and correspondent Dr. Nancy Snyderman. Mukpo has been "seeing the death and tragedy and now it really hit home for him. But his spirits are better today," added Levy, who appeared on NBC's Today show with his wife, Diana Mukpo. Their 33-year-old son was being treated for Ebola in the Liberian capital of Monrovia. Diana Mukpo told WBZ-TV Friday her son will return to the United States on Sunday for treatment, but the location has not been determined yet. "I think the enormous anxiety that I have as a mother or that we share as parents is the delay between now and him leaving on Sunday," she said, adding she hopes his symptoms do not worsen rapidly. The couple lives in Providence, Rhode Island. Snyderman and her team also were returning to the U.S. and being placed in quarantine for 21 days "in an abundance of caution," NBC News President Deborah Turness said Thursday. In a phone interview with "Today" on Friday, Snyderman said all the gear she and her crew used was being disinfected because they all shared work space and vehicles. She believes she and her team were at a low risk because they have been "hyper-vigilant." Mukpo has been working in Liberia for three years for Vice News and other media outlets. His father said Mukpo has been involved with human rights work in West Africa for several years and was well aware of the risks but felt compelled to go back to Liberia when the Ebola crisis erupted. Mukpo is the fifth American to contract the virus. Thomas Eric Duncan, who lives in Liberia but was visiting family members in Dallas, became the first person to test positive for Ebola in the U.S.